False lashes are nothing new, and neither are the numerous, unwieldy “treatments” offered to achieve that dramatic effect. (The 19th century debuted some especially cringe-inducing procedures involving needles and human hair.) Thankfully, modern falsies rely on lash adhesive rather than surgical intervention to stay on your eyelids. Still, wrangling with lash glue brings its own issues: Watery eyes, keeping the lashes hygienic, knowing that with every satisfying peel-off that you’re shortening the life of your beloved lash extensions. The alternative? 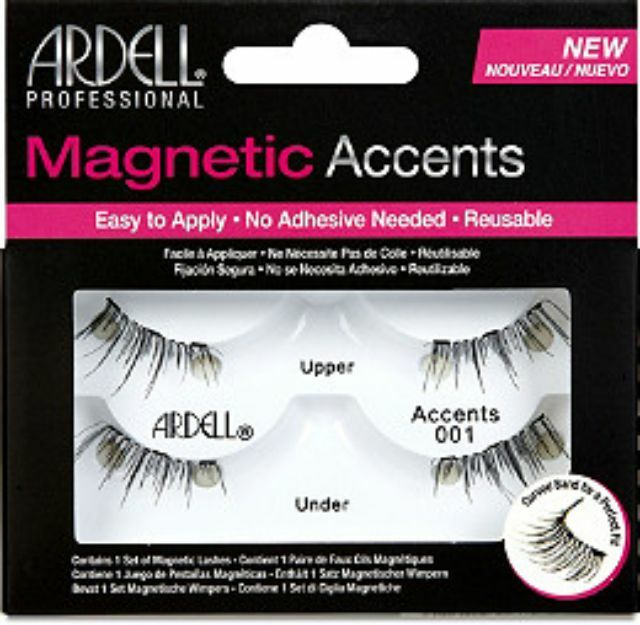 Magnetic lashes that skip the glue entirely by using tiny magnets to form a gentle sandwich around your eyelashes. They take some practice to apply but ultimately last longer. Here, we’ve gathered the seven best magnetic lashes, from high-end to drugstore favorites and feathery, lightweight lash accents. Like the Ardell lash accents, these Arvesa eyelashes only cover part of the lash line. Available in generous eight-packs, these lightweight lashes come with a magnetic storage tray (so you don't immediately lose them) and a pink applicator to help apply the lashes. These lash accents only have two magnets, but reviewers found this made them easier to trim down to fit their eyes. And since there are so many pairs in each pack, you can be less precious with the lashes and experiment with their shape. Like other magnetic lashes, these take some practice to apply. But once you get them on, the longer fringe at the ends tapers your eyes into a subtle winged look. Our writers spent 20 hours researching the most popular magnetic eyelashes on the market. Before making their final recommendations, they considered 10 different eyelashes overall, screened options from 6 different brands and manufacturers, read over 30 user reviews (both positive and negative). All of this research adds up to recommendations you can trust.